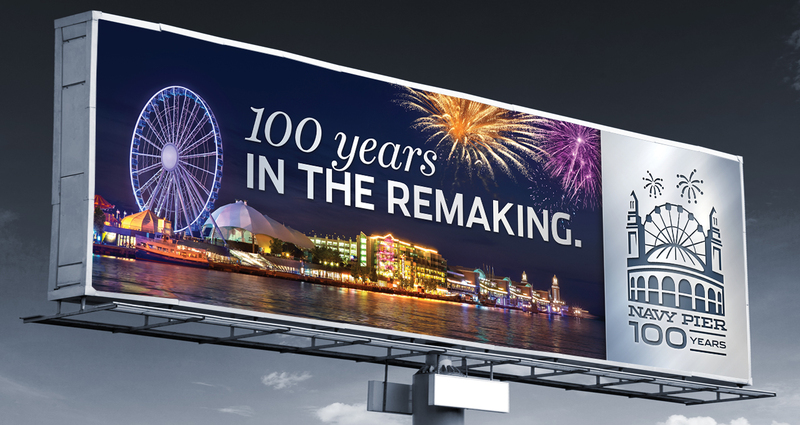 In 2016, Navy Pier, one of Chicago’s most enduring icons, was turning 100. 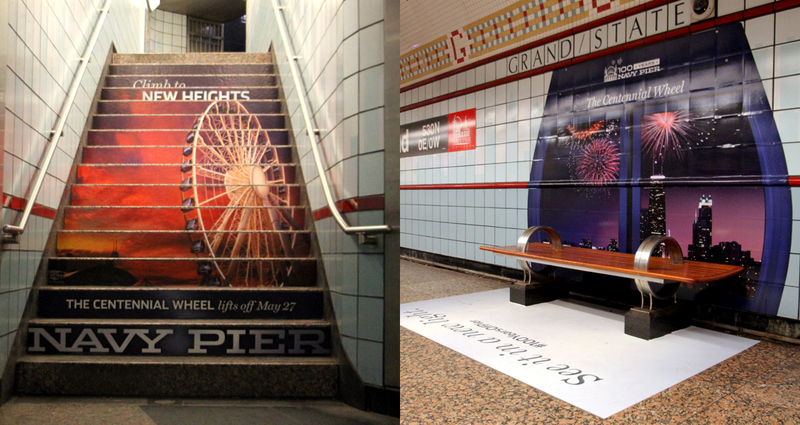 For several years leading to this event, Chicagoans had begun to see the Pier as a place for tourists. 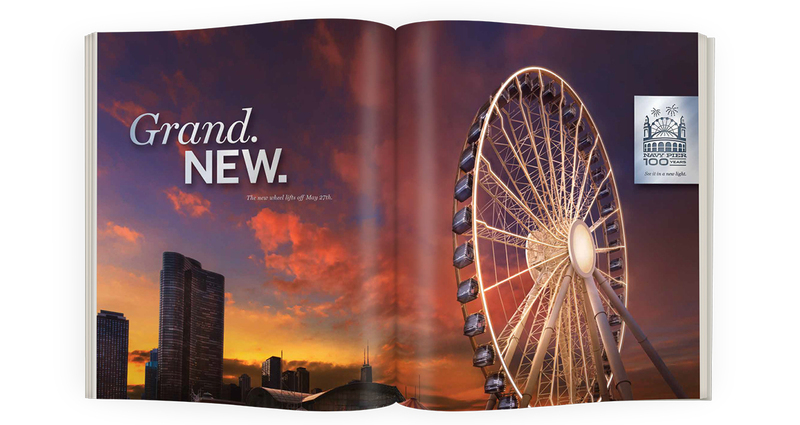 But as Navy Pier’s 100th birthday approached, massive renovations were taking place to reshape Navy Pier into a new experience—improved dining, new parks and attractions, and most prominently, a new Ferris Wheel. 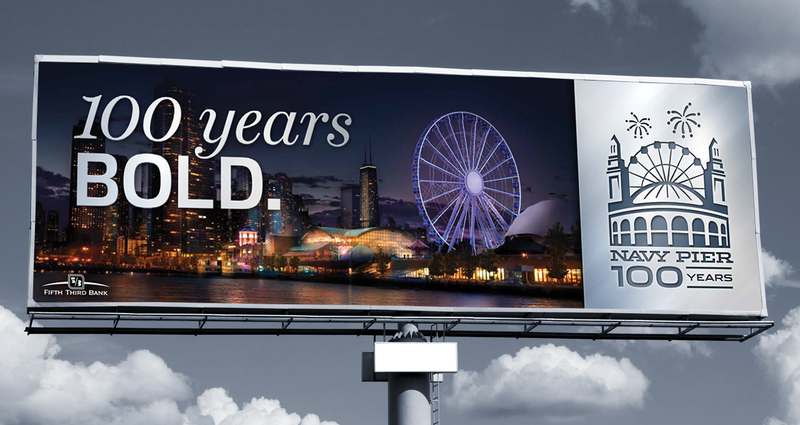 To honor this historic event we created a campaign that invited Chicagoans to rediscover Navy Pier—to revel in its rich history, while looking forward to the future. We started by creating a new logo and tagline for the campaign. 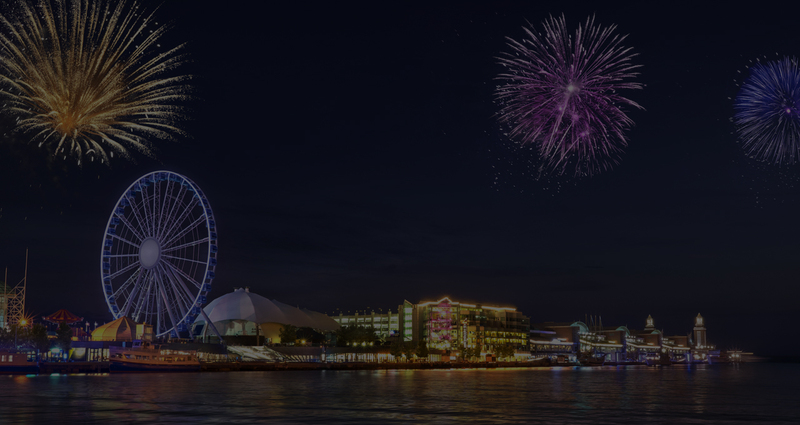 The new mark featured the Pier’s iconic ballroom towers and the new ferris wheel with celebratory fireworks overhead. The brushed steel look was added to convey a sense of commemoration and elegance. 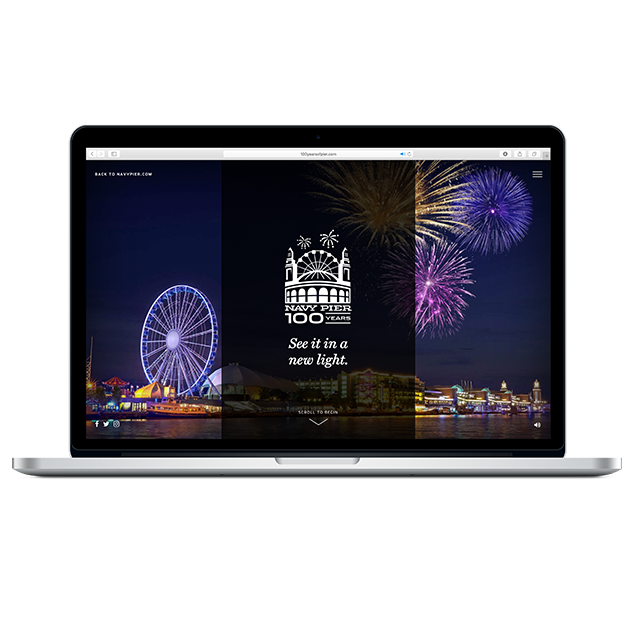 We created a campaign microsite to tell the complete Navy Pier story, beginning with its start as a host for the Pageants of Progress in 1922, to its usage as a Naval training center during WWII, to it’s current incarnation as the Midwest’s premier entertainment destination. 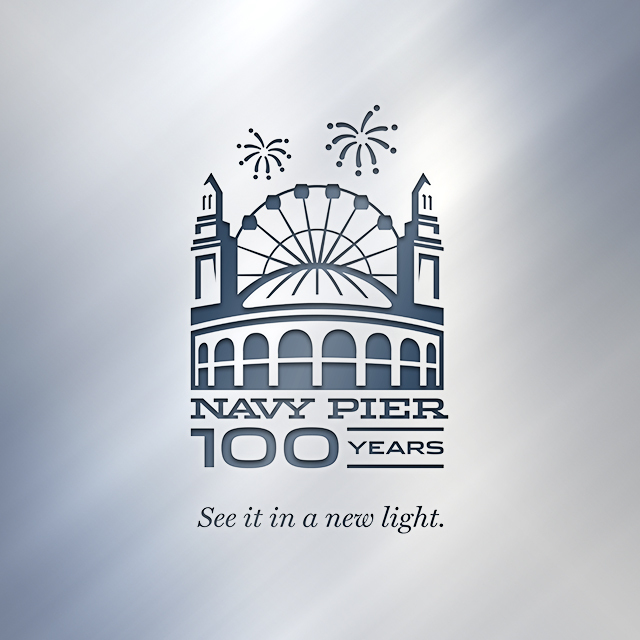 Take a scroll through history at 100yearsofpier.com. 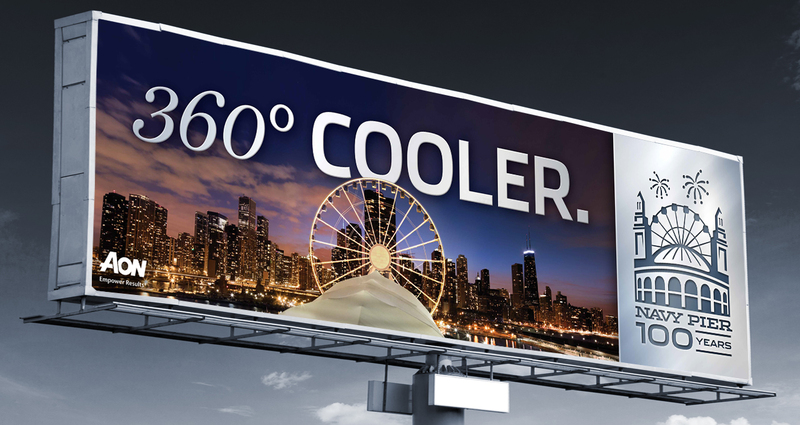 Social media was activated to give people an animated view of just how different—yet the same—Navy Pier has looked throughout the last 100 years. Key periods were selected, accompanied by captions containing fun facts about the featured period. 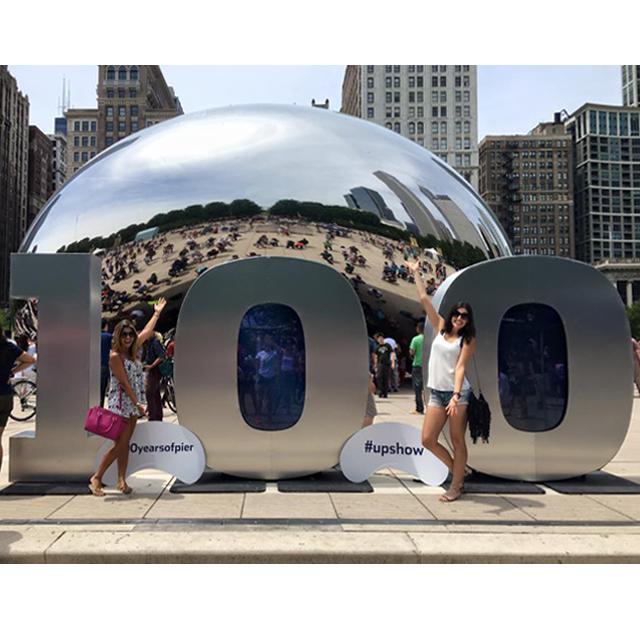 Throughout the summer of 2016 in Chicago, you were sure to run into our “100 numbers.” Standing at 7’ tall and housing two giant tv screens, we placed this experiential installation all over the city, from Millennium Park to popular music festivals. 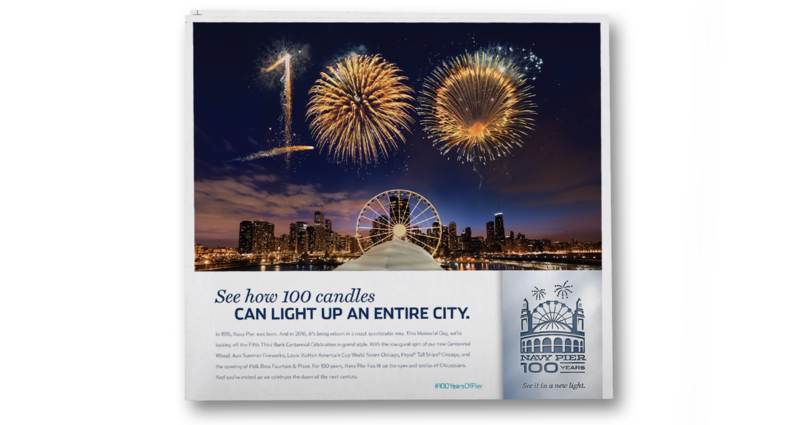 People were invited to upload photos to the tv screens via social media, take photos, and sign up for free SWAG and offers from Navy Pier.